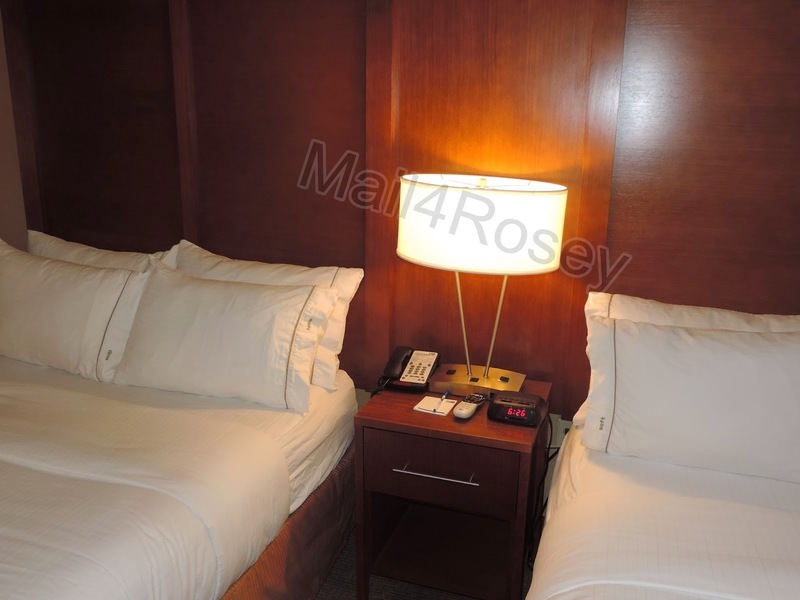 Mail4Rosey: Our Stay at the Holiday Inn Express in Silver Spring, MD was Pleasant! Our Stay at the Holiday Inn Express in Silver Spring, MD was Pleasant! Disclosure: I received a discounted or free product to help facilitate the review. All opinions stated are genuine and my own. What do you look for in a hotel? When my family and I travel, there are certain things, besides safety which is paramount, that we look for to help make our stay more enjoyable. The three things that top my list are location, free WiFi, and free breakfast. The Holiday Inn Express in Silver Spring, Maryland had them all. The room was a standard double-bed. There was an easy chair and small table not pictured, on the other side of the bed to the left. We booked a standard two-bed room. It was clean and came with all you might expect. The desk/writing area was immediately claimed by my husband. Free WiFi was available for our entire stay. There was the writing/desk area. Free WiFi was provided for the entire stay, which made it nice for checking the weather, news, etc. Hubby was also happy to have it to keep tabs on the football games! our restaurant leftovers and drinks! A flat-screen TV, microwave, and mini-refrigerator/freezer were also appreciated conveniences in the room. A lot of times we had leftovers from our dinners out, and this provided us with a fast way to reheat them when someone was hungry, but we weren't quite ready to go out. There was also ample storage for Minecraft Characters...because when you're 7-yrs.-old and you just got the set for Christmas, those little guys are traveling with you. ;) The drawer was instantly claimed as 'animal space' and that's where the stuffed animal crew lived. My son kept his clothes in his suitcase (so his characters could have the drawer), lol! and hubby's on the left. There was also a safe, and a shelf just above the hanging bar. 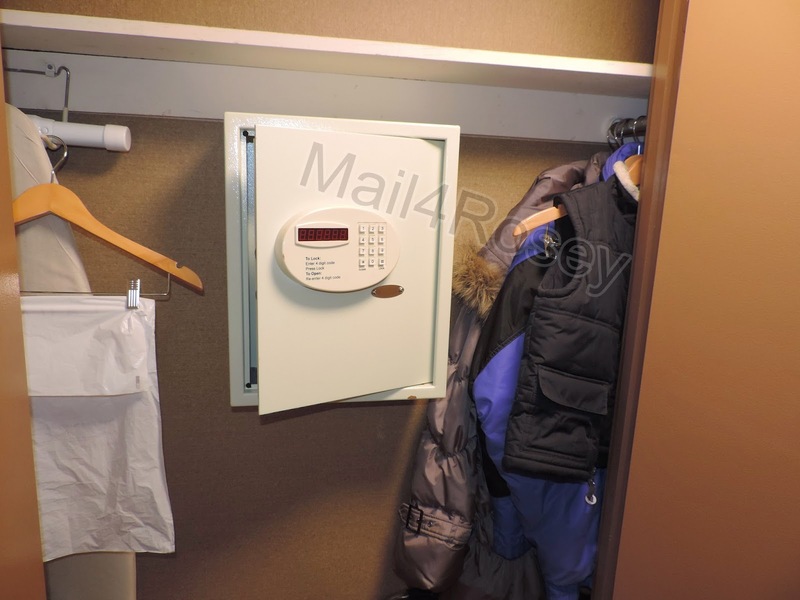 The closet in the room offered a safe, an ironing board/iron, a shelf, and plenty of room for our coats. The iron and ironing board are great for touching up dress clothes, when you're having more than just a casual night out. The bathrooms were spotless, and had a cool tile in them that made the room lively. Housekeeping was spot-on with providing us with what we needed each day, and they went out of their way to be polite. but they were all appreciated. Little touches like the carefully folded end of the toilet paper made us laugh, but they were appreciated. The Hot/Cold Breakfast was supervised so nothing ran out. The free breakfast in the morning was monitored by staff, and provided both hot and cold items aplenty. It ran until 9:30 each day, allowing plenty of time for even the stragglers in our group (*cough* my husband and teen *cough*) to make it downstairs with plenty of time to get fueled up for the day. but I enjoyed the food and the uninterrupted (aka unplugged) time with the family. Honestly, I'm not big on morning eating for myself, but I did surprise myself by enjoying fruit (or yogurt), a bagel and juice each morning, and I completely appreciated not having to find a place to buy breakfast. While it's certainly the least expensive meal of the day, feeding a family of (4) three meals a day, when you're out-of-towners, can get downright pricey. Plus when there's breakfast in the hotel, you don't feel so rushed to get ready and out in the a.m. There were hot breakfast items, like sausage, eggs, and biscuits. It was the Pancakes in a Minute Flat machine, however, that wooed the hearts of my children. There was just something fun about putting your plate at the end of the machine, and having two pancakes almost instantaneously pop out (no flipping required ;) ). 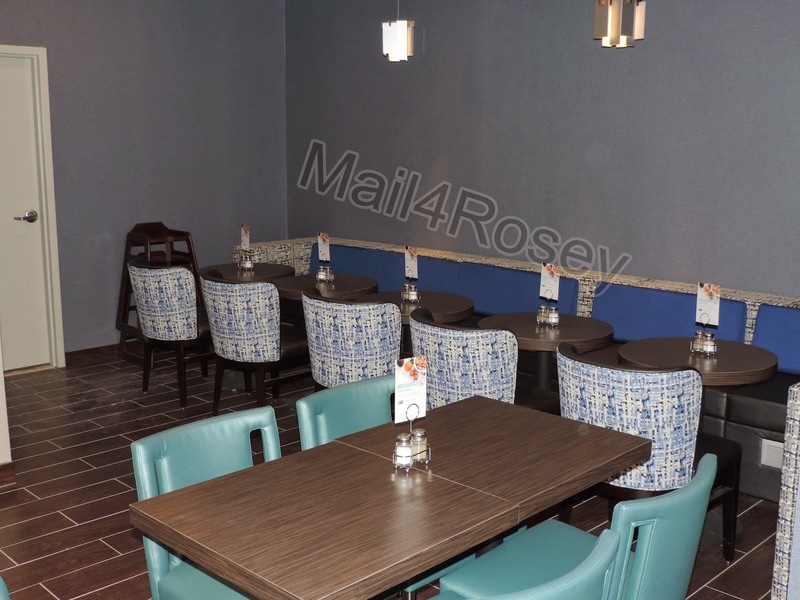 Low table and more booth seating. 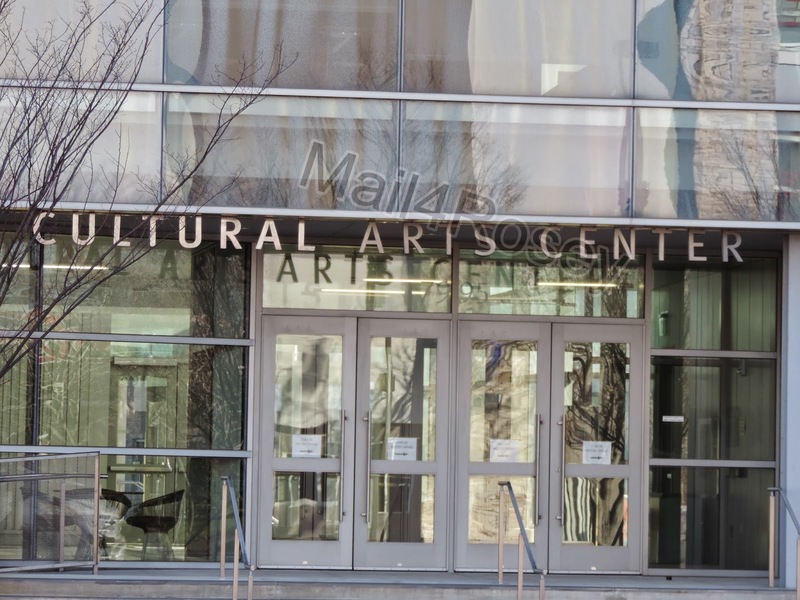 The Cultural Arts Center was directly across the street from the hotel. to visit in the immediate neighborhood. After we fueled up for the day, hitting the area attractions was first on our to-do list. The location of the Holiday Inn Express in Silver Spring, MD. is ideal for two reasons. First and foremost, it is in a prime location all on its own. We could literally walk across the street to the Cultural Arts Center, and all around us, as far as you could walk in every direction, we were surrounding by fun/interesting/amazing things to do. Food Tip: If you're a pizza-lover, like we are, you can walk to Pacci's Neopolitan Pizzeria. We did, and my oldest and his wife met us there. Everyone thought it was a great place to get a pie! If pizza's not your thing, no worries, there are tons of eating establishments in close vicinity to the hotel. A metro map was conveniently located in the lobby area. 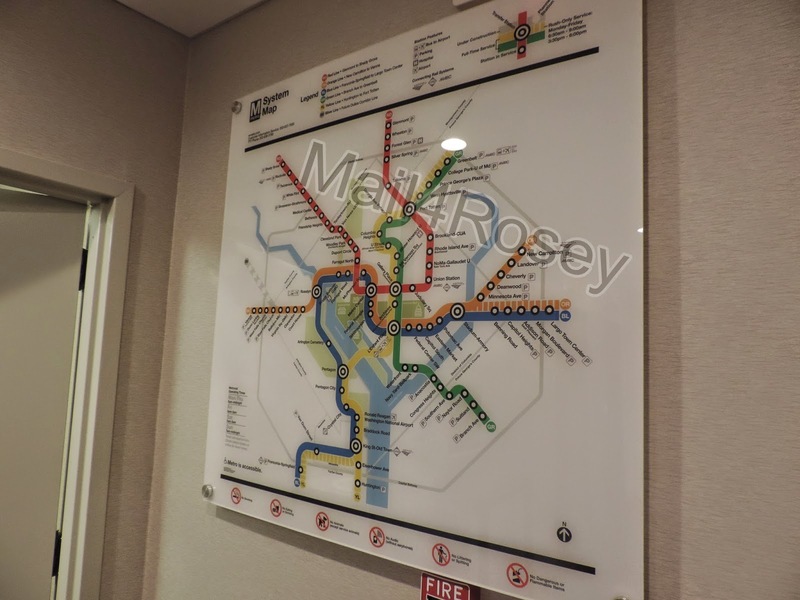 The second reason the hotel location is ideal is that it sits just outside of DC, and a short ride on the metro took us most anywhere in the busy city that we wanted to go...without the agitation, and hustle & bustle of traffic in that very busy area. and the weather was so nice that we just walked to them. There was a shuttle van that would take you to the metro if you wanted to use it (there was also a metro bus out front), but there were metro stations close enough to walk. The weather was so mild and pleasant when we were there that we took the opportunity to enjoy it, and skipped the shuttle altogether. Walking was more fun, and it was nice to have that downtime walking, and joking with the family. Everyone was along for our walk except my daughter-in-law and grandbaby, who met us at our destination (they were 20 minutes late because they drove...DC traffic is really just that crazy!). that included a printer, if you wanted to use it. It was located in the main lobby. 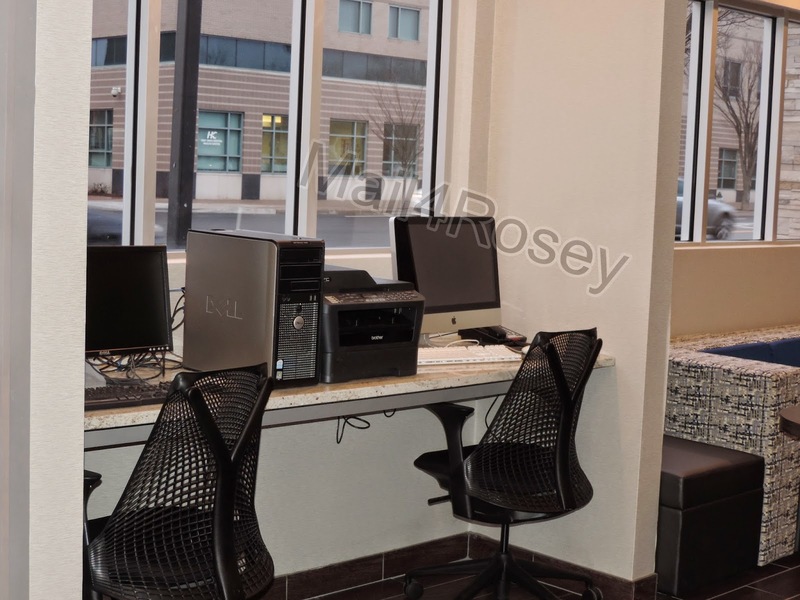 The rooms had Free WiFi, but if you wanted to utilize the business center in the lobby, you were free to do so. The printer would prove useful for airline tickets, directions, or any other multitude of things if you needed to use it. There was a small but efficient workout center. It also had a water dispenser in the corner. Pay Laundry makes me happy. It means there is no need to over pack! Pay facilities for laundry were a nice touch. I like to have laundry on-site, that way I don't have to overpack! Luckily for us, we didn't need to use them, but I loved the option that they were there. Parking at the hotel was free, and in that area, that's a really big deal. There was also meter parking outside of the hotel (you could renew/refresh it from your phone! ), and guest parking was available if needed, for a small fee. In addition to that, a public parking garage was located directly behind the hotel. So refreshing to have so many options to park, in such a busy place. found gelato in the snack pantry in the lobby, the hotel became her instant favorite. All in all we were very happy with our stay. The only downside, and it really wasn't a downside at all since the air had a fan option, was that the big windows didn't open easily, and when they did it was just a crack. It was so nice weather-wise (unheard of for this time of year!) that we really wanted to get some fresh air in the room...but on the bigger scale of things, not being able to do so was really no big deal. 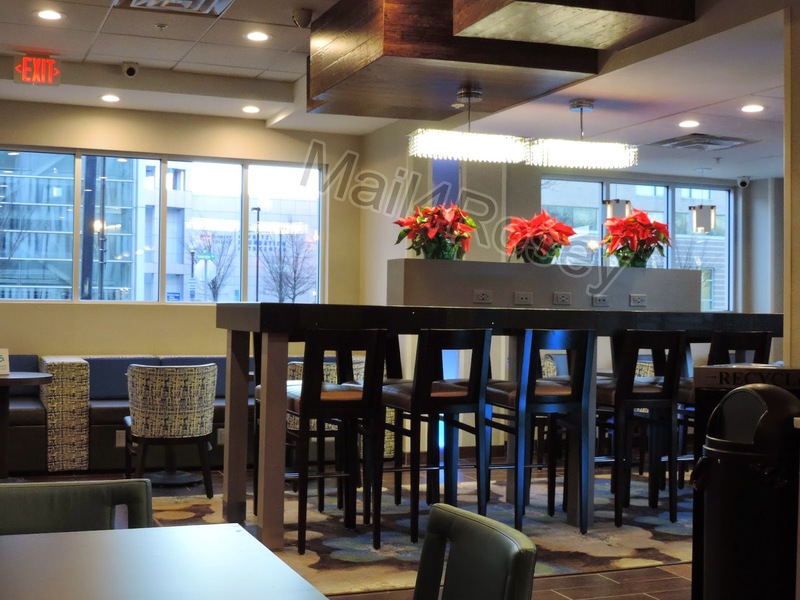 We enjoyed the Holiday Inn Express in Silver Spring, MD., and would gladly return for a future visit. In fact, we very well may, we still have so many things we want to see and do in both Maryland, and in DC! You can learn more about the hotel by visiting their website. You can also follow all Holiday Inn Express hotels on Facebook and/or Twitter. That sounds like a really nice hotel. I have family in Bethesda, so I spent a lot of time down there growing up. I love it there. There's sure a lot to do! We could have stayed much longer and not been at all bored. Funny the Minecraft figures went with you. We've stayed at several Holiday Inn Expresses and they've all been nice. Looks like a nice hotel.. I like it when there is a biz area to get things donw in peace and quiet. I love hotels that offer a good breakfast and shuttle service. I don't know of many hotels that have windows that even open partly. Maybe it's for liability reasons? I have often wondered that myself and it does make perfect sense. We never stay anywhere without a breakfast offered -- it makes life SO much easier with little ones in tow. Often one of us will run down and bring food back to the room for everyone, so that we don't even need to get the kids out of bed! lol clothes never need a drawer, but those minecraft characters do. Sounds like a good one, clean is sure my #1. Free wi-fi too. Holiday Inns never disappoint, and it looks like that one was a nice stay! I haven't stayed at one in forever. Must change that! Kristen - I had to re-read it to because I thought the hotel provided them. That is too funny! I like the Silver Spring area. I used to travel up there quite a bit for a previous job. I usually stayed in a different hotel, but that one looks nice and kid friendly too! Excellent choice. I've stayed in on before. Big rooms, clean and they treat you very well. Yep. Those are all major pluses. I ALWAYS stay at Holiday Inn if I can. Holiday Inn express has definitely stepped it up over the years. I remember back in 1999 I refused to stay in one that was booked through my company, but in 2010 I gave it another shot - sooo much better! BTW - I love that your 7 year old carries the MineCraft characters, my 8 year old carries around the indermin (or however you spell it) :). Me, too! 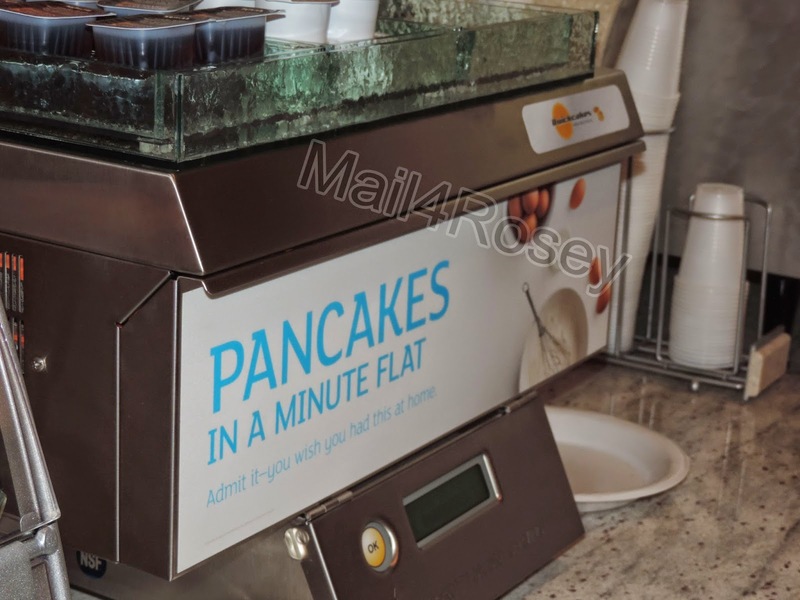 That breakfast - especially the pancake machine - is awesome! Like you, location and free wifi are the biggest points for me when booking a hotel room. Especially when traveling here in Europe, and wifi is my only connection to the internet (as cell only works in Sweden) it is super important. I've always enjoyed Holiday Inn Express hotels! These are really nice hotels. Look at all of the amenities! It looks like a wonderful place to stay! I love how good the breakfast looks. And the metro map looks really helpful. I can't eat gelato cuz it bothers my stomach but it sure is good! I love that that is what she used her money on lol. That's a girl for you! Looks like a really nice place to stay,I like that there is a safe in the room a lot of places do not offer this,also of course the wifi is a must for me. Holiday Inn is such a great hotel line. I stay there whenever I travel. This Holiday Inn looks like a very nice place to stay. We stayed at an Inn overnight over the break - just to take the kids to a pool. It was VERY similar to a Holiday Inn - we really enjoyed our stay too! That is a great looking hotel. My grandparents and I would always stay at Super 8 when we traveled. That looks like a great place. Love to be able to do laundry when traveling. Carmen Perez: We always stay in Holiday Inn Express hotels when we are on road trips because they are always so effieicent, clean and comfortable. We really like them! I love the bathroom! Pretty! I love Holiday Inn Express. In a hotel I always look for the size of the room, there are a lot of us, and free breakfast! It really looks like they have all the comforts of home! Clean is always #1 on our list. And yay for spacious drawers lol! I have never stayed at a Holiday Inn Express, but it sure looks like they've thought of everything! Your review is so thorough! Looks comfy and perfectly suited for an enjoyable getaway! Looks like such a lovely room to stay in, so cosy. I love the look of that tile in the bathroom too. Looks good. And glad it met all of your needs so well. We've stayed in a LOT of Holiday Inn Expresses over the years, and for a lot of the reasons you already mentioned. I especially like the convenience of having a fridge and microwave in our room. The complimentary breakfast is an important perk, too, although I've never run across one of those nifty pancake makers. That must be fairly new. In fact, judging by the spiffy look of your room, the inn looks pretty darned new, too. Nice review. The free breakfast is such a huge help with a family. I'm not a big breakfast eater either, but my boyfriend is so it's important I find a place that includes it. I love free WiFi; that's getting harder and harder to find. We always have a good experience at Holiday Inns. They tend to have the best selection for breakfast, too. This sounds like a terrific place to stay. The pancakes in a minute sound really great. Looks like a nice place to stay. That looks like a nice place to stay. I love places that are family friendly. The pancake maker really is cool! ha! Looks like a nice place to stay! We haven't ever stayed at a Holiday inn express but I do hear often about how great most of them are! So this is great to hear about, my husband thinks a HIE would be much cheaper and ideal for us if we travel! Holiday Inn Express is a great place to stay on the go. Their hot/cold breakfast is always really nice! I love staying in hotels! Holiday inns are always a nice place to stay at. This looks like a great place. I stayed in a Holiday Inn Express once and loved that pancake maker! Sounds like a great place to stay. I am well overdue for a getaway! I've always loved the places that have the little "make your own waffle or pancake" stations. Cool that they have a safe too. Never seen that in a room before. Sounds like a nice clean place to stay. I wonder if they have large enough rooms for my big family. This looks like a comfortable place to stay. I think it would be great for traveling families. I'm glad you had a good stay. My brother lives in Silver Springs. Wow what an awesome hotel. I will remeber this hotel chain when I travel for sure. We just had one built by our house. Good to know it is a great hotel for any visitors we might have! That's sounds like an great hotel! I love when they offer breakfast! It's so much easier than dragging everyone out! I haven't had the chance to stay at their express line of hotels yet. I have always loved Holiday Inn! I've always had pleasant stays at these properties. They are so nice! I love it. We always had great stays as well! I'm glad they also offer a full breakfast. That's a huge savings. If we are ever in the area, we'll have to check this out. It looks amazing! 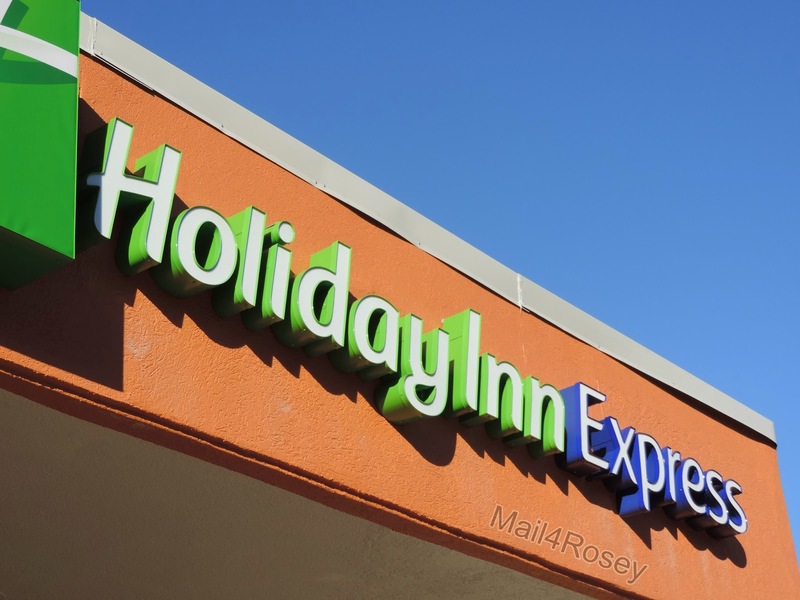 We've stayed at quite a few Holiday Inns, but never a Holiday Inn Express. The rooms and look like the same quality of accomodations and I like that they offer a full breakfast too! Let's hear if for WiFi and FREE parking! Glad you guys had a nice time! Whenever I travel I always look for a holiday inn express. They are some of the finest and best priced places to stay. I have always had amazing experiences there! I love that the hotel looks very clean and pristine. That’s what I’m looking for. Looks like a great stay. I too always look for a Holiday Inn Express and have not been disappointed so far. This looks like the hotel where we stayed when we visited Silver Springs a few years ago. What a great review and I love all of your photos. I always look for Holiday Inn when we are planning trips or vacations because they never disappoint. 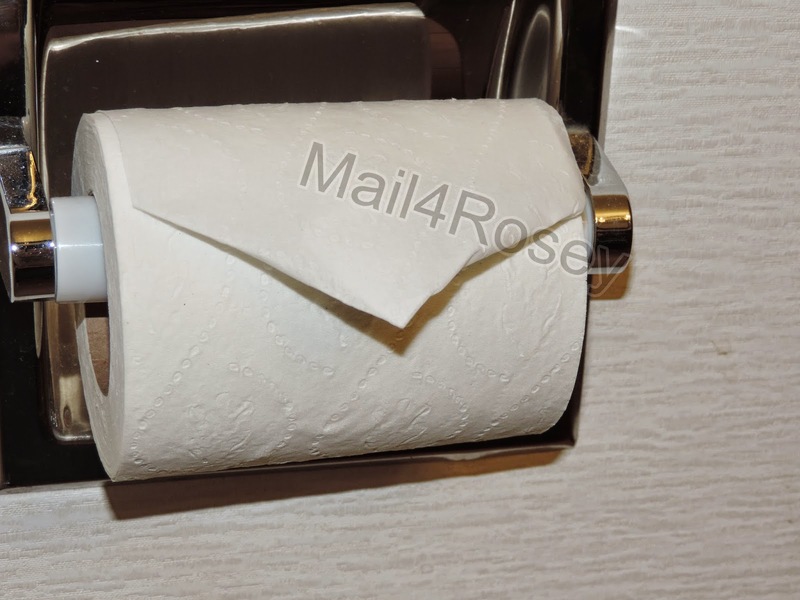 I love all of the touches they provide as well and I have to admit I fold my TP the same way at home, lol. This is just the sort of hotel I like when we are going to investigate an area. I want to count on clean and comfortable, and don't want to pay for fluff when I'm there for adventure outside the property. I would definitely stay here. My husband and I are planning a trip to DC this year and I am going to mention this to him. Great review! I always enjoy reading about other people's travel experience! Thanks for sharing! I'm glad there was room for the Minecraft characters! ;) We usually see the waffle makers in the breakfast areas. I'm not sure I've seen the pancakes before! I love Holiday Inn Express! We stay there all the time - always a pleasant experience! This is a big change from the old Holiday Inn I remember. The room looks nice and clean and the free breakfast is always a great thing. We have Holiday Inns over here in the UK, but they aren't as lovely as yours from what I remember. The Minecraft storing is too sweet. I have stayed there, really nice place and great service! I agree - the location, free WiFi, and free breakfast are important! We stayed in a Holiday Inn Express recently that was awesome! I always look for free parking, free wifi and location! Love the Holiday Inn! I have never been to a Holiday Inn before but it looks quite nice. I love the fact they folded the Tissue, haha! Looks like a great hotel. I love that they supervise the breakfast. Those always seem to have slim pickings by the time we make it. Free Breakfast.. Free WiFi and a laundry. Can't ask for much more when traveling. Looks like a very nice place to stay. 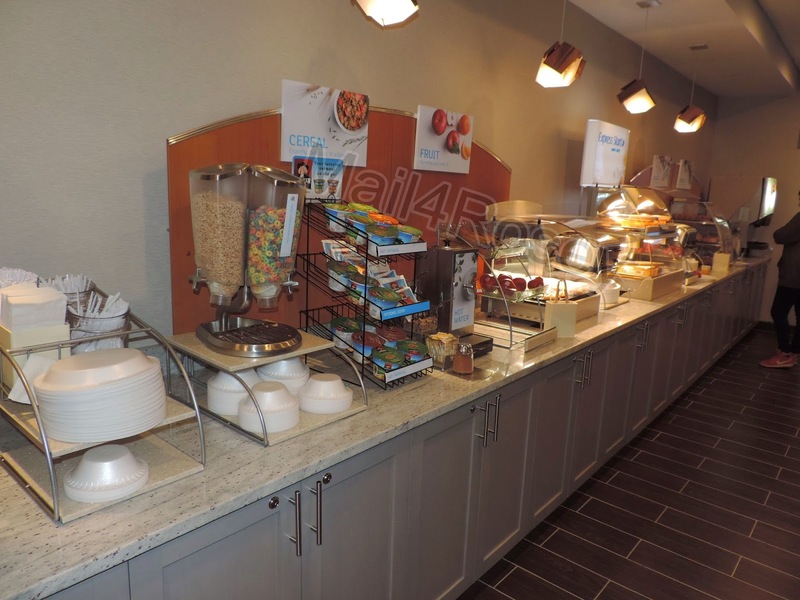 We like Holiday Inn Express - clean rooms and a great breakfast bar. Looks like your stay was also nice. That does look like a great place to stay. I love when breakfast is included. It makes more expensive places worth it. Breakfast can get pricy for a family. Looks like a great property in a great location. Love Maryland! I actually did stay in a Holiday Inn Express but as a Mystery Shop! It was only about 1/2 hour from where I live lol. It was exactly as you described!! Of course when it came to meals and eating out--I had a BIG advantage--I knew exactly where I was and where the descent and not over priced restaurants were!! Looks like a great family vacation! How fun! 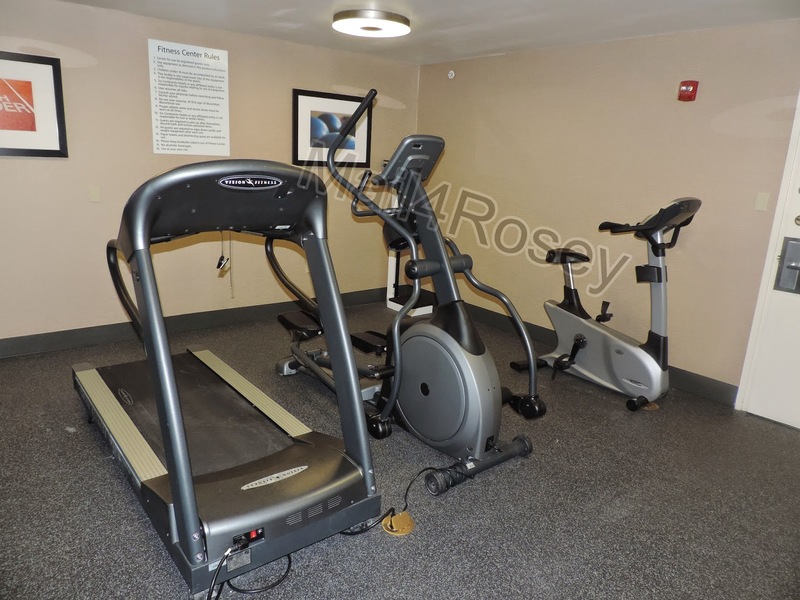 When we book a hotel, we only stay somewhere that has an indoor pool and fitness center. Complimentary breakfast is preferred by me, but not a deal breaker, but I really do need wireless Internet. I like the mosaic bathroom tile at the Holiday Inn. I also love a good hot/cold breakfast. Holiday Inn hotels are quite nice. I've stayed twice in their hotel here in the Philippines and we have a nice time, as well. That looks like a great place to stay at. It looks really clean too. What a beautiful bathroom! I love your review of the Holiday Inn Express. Your photos are right on. We'll sure remember to check out HIE for our next trip. This looks like a wonderful place to stay. I love having a mini fridge in our hotel rooms. Looks like a great stay! I love the pay laundry on site- it's so nice when you're traveling with kids to have that! I've always wondered how a Holiday Inn Express is different from a regular one. It looks great! The free breakfast and wifi are always a nice touch! Free WiFi is such a necessity. I'm surprised at how many pricey hotels I've stayed at make you pay for it. I have stayed in a couple Holiday Inn Express in different states. They are pretty nice and pretty good price. So many great amenities! If we are ever in that area we know where to stay! Holiday Inn always has great services and amenities - I'd like to check how they are outside of the Philippines. Seems great. Great review! This hotel looks really nice and seems to have lots of great services. This looks like a wonderful place to stay! The Hot/Cold Breakfast is perfect for our needs in the morning. Looks cozy! You had me at free breakfast... actually I've always found holiday in express hotels to be quite pleasant and clean. Great review! Looks like a nice place to stay. I usually stay at hotels that offer free breakfast options. I've never seen one with a pancake machine like that. I like the tile in the bathroom. 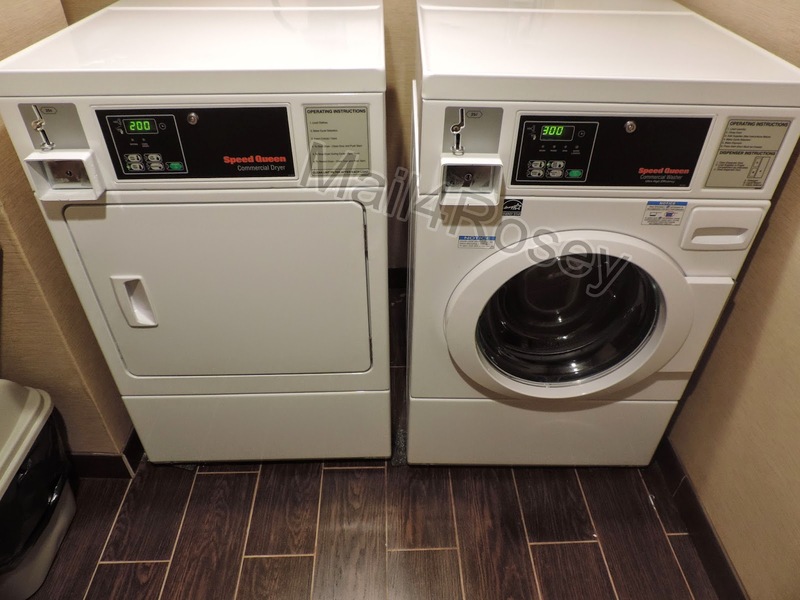 I love when I stay somewhere that has a washer and drier so I can clean my cloths before I come home. This pace looks nice and clean which is a plus. Wow, that looks like a great stay! I know my kids would love a getaway! Sounds like a great place to stay. I like that it offers breakfast options. The Holiday Inn Express is always one of my favorite go-to hotels. I love their breakfast, and the rooms are always nice. 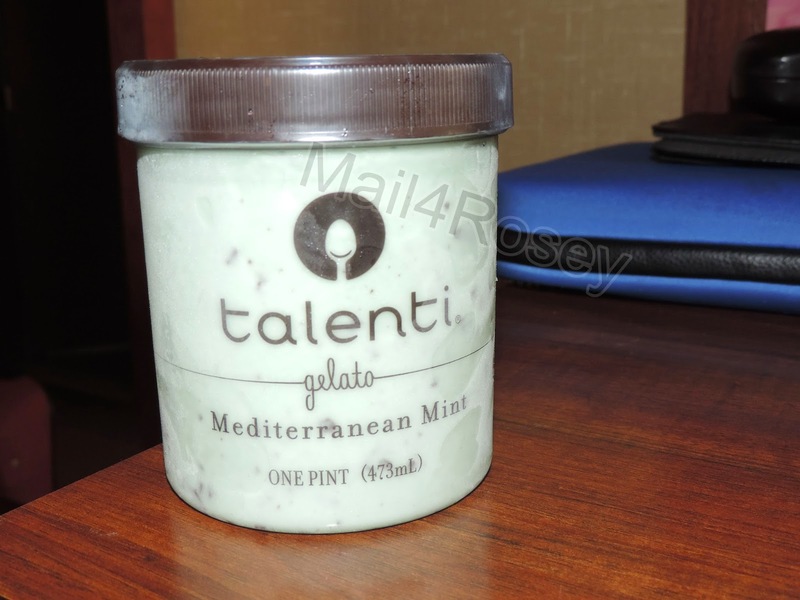 My teen would have loved finding gelato in the snack pantry, too. That is her favorite. Sounds like a lovely stay! I always like those continental breakfasts too! yum yum! I would have never guess that all of that was in a Holiday in Express. When you drive to a from for Christmas, our halfway point is Montgomery, Alabama and we always stay in the same hotel which is also very nice. We got in earlier than usual coming back and they had a taco bar set up, with beer on tap and two boxes of wine! Best box of White Zinfandel that I ever tasted. That was so great because we sure didn't feel like going back out to eat. Forgot to say that it was a Residence Inn Marriot. If we ever change our route and I'll check out Holiday Inn Express. Ooh I'm in love with the paid laundry and business center. For a hotel, that is very nice. Glad you had a nice stay! Nice room! I like the fridge and that they had a washer and dryer for use. Wow everything looks incredible and I love the perks here. Would be nice to take some time off to enjoy a nice stay here. So relaxing. I love staying at Holiday Inn/Holiday Inn Express. I have never been unhappy, and I am pretty hard to please. 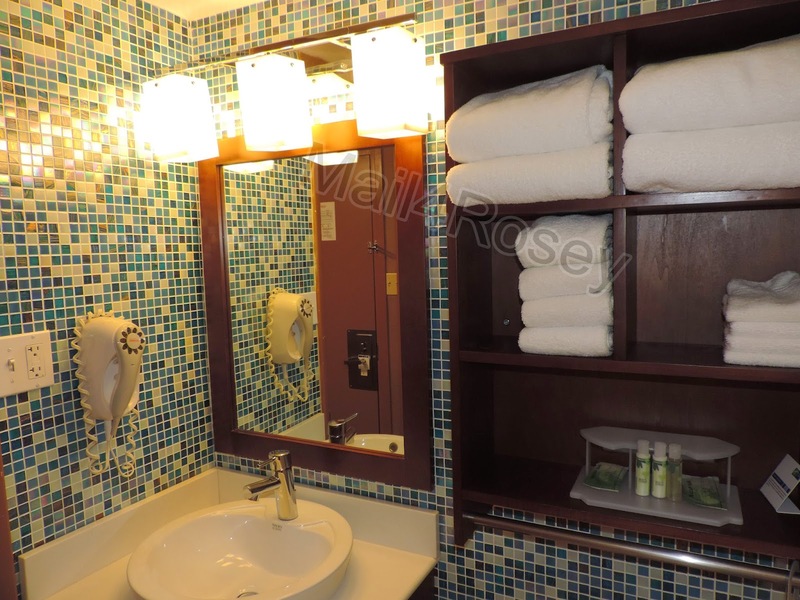 Rooms are always clean and staff are always very nice. We are debating on a last minute spring break trip to the east coast so wanted to read up on your opinion of this Holiday Inn Express. 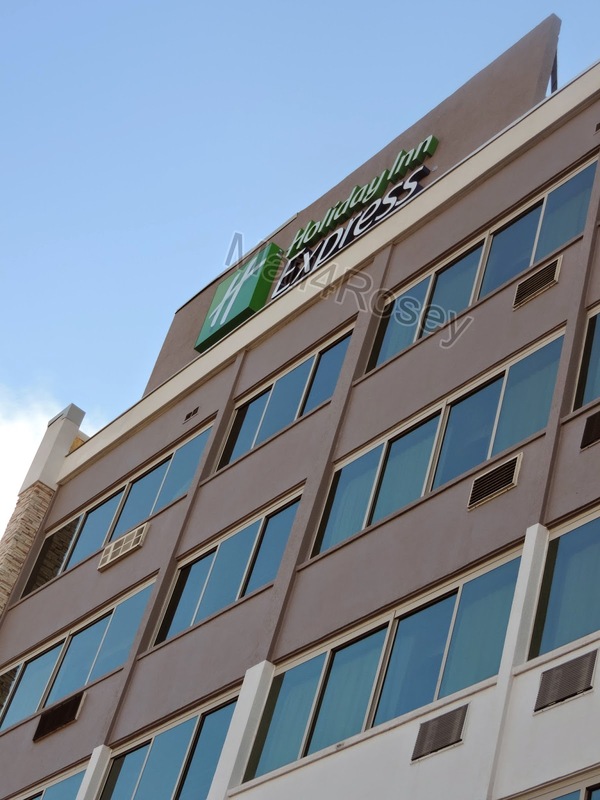 Holiday Inn Express is always our first choice of places to stay when we travel. I love staying at Holiday Inn. This one looks very nice! It does look nice. I'm with your kids...I want to see pancakes pop out of a machine!